There has been a church in the little Dorset village of Wimborne St Giles since at least 1207 when the first rector is recorded. The church stands beside a row of attractive almshouses erected in 1624. 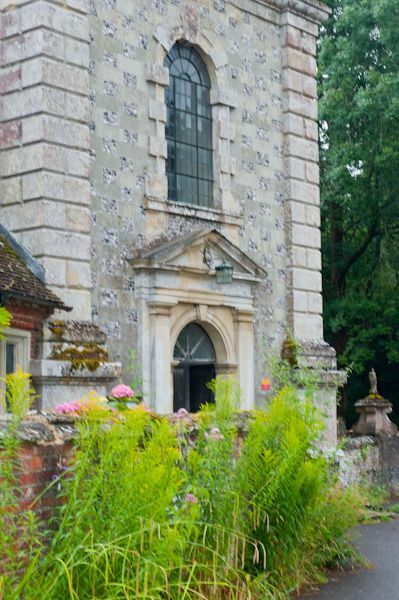 The current church was built around 1514 by Sir Anthony Ashley, then almost entirely rebuilt in classical Georgian style in 1732. 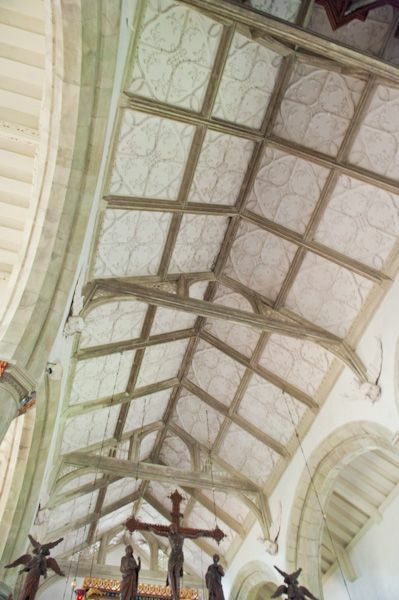 The Georgian work was Gothicised by Bodley in the Victorian period, but Bodley's work was largely destroyed by fire in 1908. 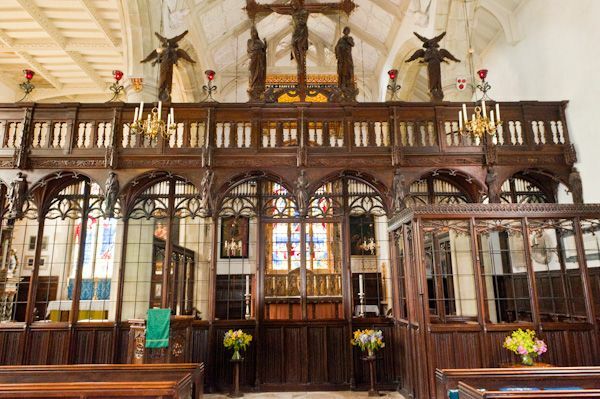 Sir Ninian Comper was called in to restore the church, which he did in extraordinary classical style, successfully complementing the 18th-century work. Comper added wide aisles, making the interior almost square. He also completely redesigned the interior, and the furnishings we see today are almost entirely Comper's. 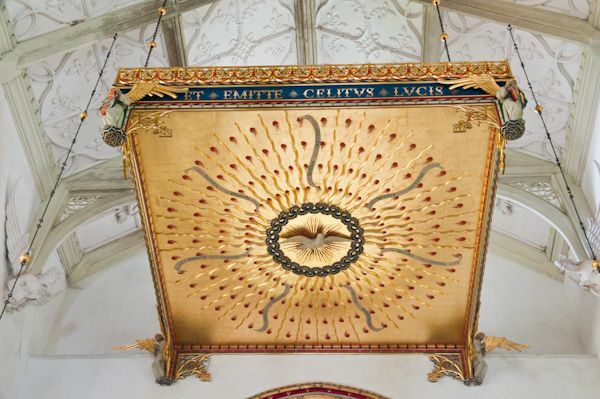 The most obvious of Comper's work is the highly decorated screen, which cuts the entire east end of the church off from the nave. Beyond the screen, well removed from the lower classes in the nave, is the family pew of the Ashley Coopers, Earls of Shaftesbury. Several of the Ashley family have memorials here; there are tombs to the 1st, 3rd, 4th, 7th, and 9th Earls. 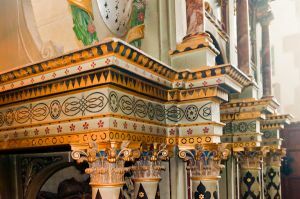 Despite the undoubted high standard of Ninian Comper's work at Wimborne St Giles, the exquisite tomb of Sir Anthony Ashley is the historic highlight of the church. The tomb is an extraordinary creation, gilt and classical columns everywhere, and everywhere symbolism. One piece of symbolism on the Ashley memorial escapes the modern scholar, however. What are we to make of the odd sphere at Sir Anthony's feet, created with a series of hexagons joined together? Speculation until now has centred on three possibilities. First, it might represent a globe, for Ashley was credited with translating Wagenaer's sea charts into English. Second, it might be a jewel, for Sir Anthony illegally kept a jewel he plundered from the Spanish instead of ceding it to Queen Elizabeth as he ought to have done. The queen fought through the courts to get her hands on the jewel, but Sir Anthony would not relinquish it. Finally, it might represent a simple cabbage, as diarist John Evelyn credits Ashley with introducing the now-common vegetable into Britain. A fourth possibility has recently been suggested, one perhaps reminiscent of a Da Vinci Code plot; the sphere is said to be a perfect representation of the newly discovered element Carbon 60. Coincidence? Perhaps, but likely we shall never know, and that only increases the appeal of the Ashley memorial, which is an extraordinary historic monument in any case. 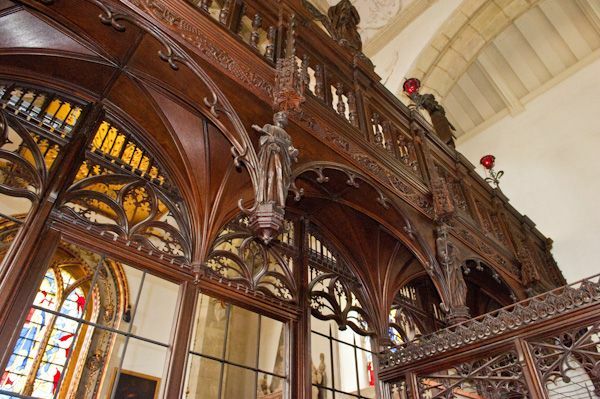 Other fittings of note include an ornate 18th-century font, an alabaster reredos by Comper, the ornate, gilded tester over the altar, and the tomb of the 7th Earl, who was famous for his charitable work. 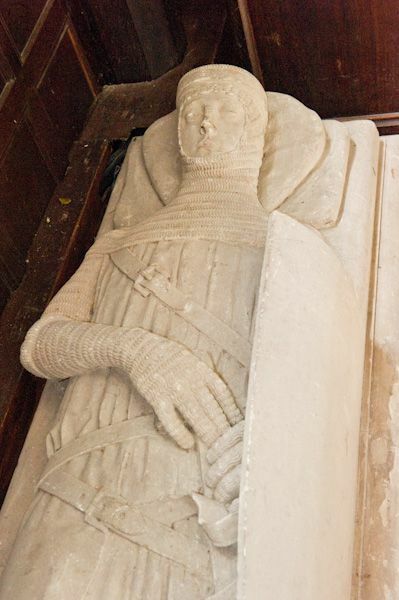 Almost lost amid the splendour of Comper's interior and the Ashley Cooper tombs is a superb 14th-century effigy of a crusading knight, thought to be Sir John de Plecy. Location: In the centre of the village. Limited parking on the street.